Your average weed eater is a simple shaft with a rotating head with plastic string that spins at a high velocity and trims lawns and they are usually powered by either gas or electricity (corded or battery powered). Having a weed eater is really convenient because they can do things that a lawn mower can’t do, not to mention they are a lot lighter too. Any homeowner or professional landscaper definitely needs a string trimmer if they hope to keep their lawn and garden looking great. Some string trimmers aren’t just string trimmers though, much of the time they can do a lot more. This is done through various attachments that can blow leaves, cultivate dirt, edge lawns, and the thing we are here to talk about today, trimming the hedges. Hedge trimmers are really great tools too. Alongside a string trimmer this is one of the other main tools that any landscaper should have in their arsenal because it means that you don’t have to use a big pair of bush scissors to cut those giant hedges! It just makes the job so much better and easier. Even better is when you can use the string trimmer to do the lawn and then simply switch the trimmer head out for a hedge trimmer. It means that you don’t have to buy 2 separate tools to get the job done; all you have to do is switch out the attachments! The first thing that you need to consider when you get the attachment is what kind of string trimmer you have. On a side note if you are looking to add on attachments like a hedge trimmer then you probably want to have a gas powered string trimmer because they provide a lot more power and versatility than your electric ones. That being said when you buy the hedge trimmer attachment you may need to buy a smaller version if you have an electric powered one. Ok, so now that’s out of the way, something else that you want to look out for is how long the trimmer is; the longer the trimmer is the easier your job will be because it cuts more at once. On the other hand you also have to consider the weight of the attachment. The bigger the attachment is the heavier the item will be. The other thing to consider is what material the hedge trimmer teeth are made out of; you want to get a harder metal or else the teeth will break when it hits something a little thicker. Attaching the head trimmer isn’t too difficult. Most string trimmers that come ready for attachments will either have a simple clipping or screw on system so can easily unscrew or unclip the string trimmer and put on the hedge trimmer attachment in a flash. Always keep in mind that each model is different though so you will always want to read the owner’s manual however they all usually just screw or clip. 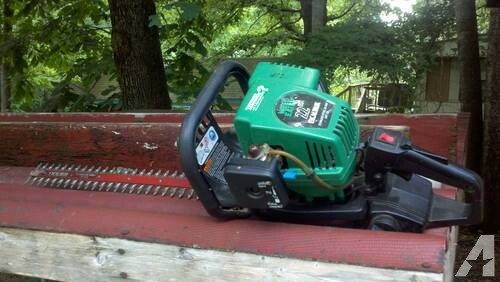 Something to keep in mind when purchasing a hedge trimmer attachment for your weed eater is that they are slightly dangerous and if you are not careful there is a possibility of injury. 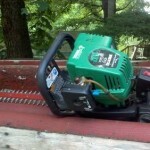 This is especially the case if the equipment is too heavy and the user loses control of it, thus always make sure that you buy a machine and attachment that is light enough to handle safely without injury of any kind. 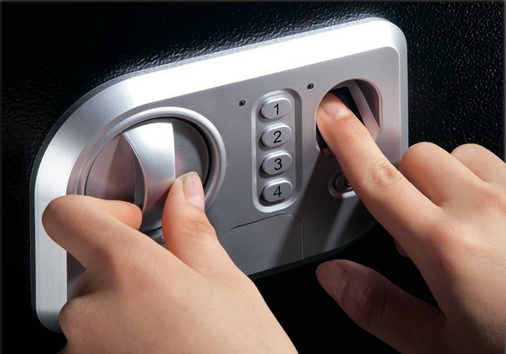 Top 3 Advantages of Biometric Safes 9 Creative Ways to Make Cleaning your Home More Fun How To Make An Impressive Big Deal Out Of Your Small Garden? How to Teach Children to Clean Their Rooms Pooch in the Pool: Five Questions to Consider When Buying a Pool to Please Your Pup The best vacuum cleaner for hardwood floors, what to look for?